72 x 28 inches. 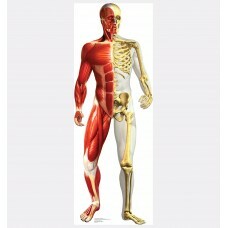 Cardboard Cutout of Anatomy Cross Section. 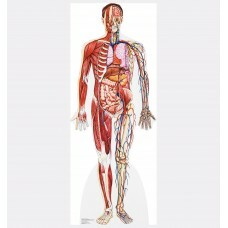 This Cardboard Cutout is of the Anatomy i..
72 x 26 inches. 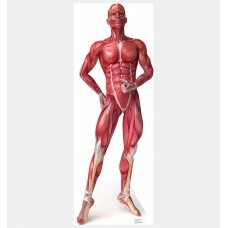 Cardboard Cutout of the Anatomy Half Muscle half Skeleton. This Cutout is the Anatom..
72 x 26 inches. Cardboard Cutout of the Anatomy Muscle System. This Cutout is of a person who is sta..